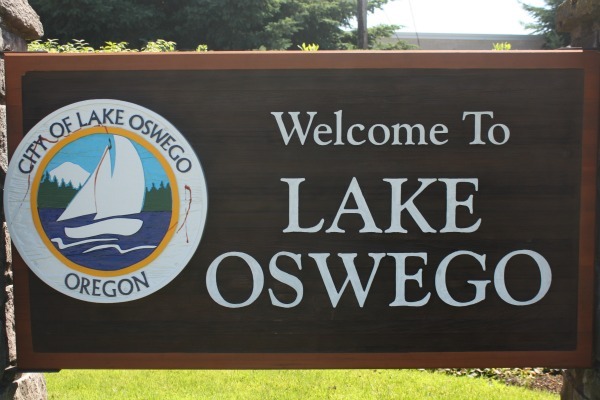 When buying a home in Lake Oswego, Oregon, it’s hard to go wrong. As I’ve mentioned in previous posts, it’s the kind of place that once you’re a homeowner, you can find yourself making money while you sleep as your home in this highly desirable community appreciates. But, certain neighborhoods have certain profiles which you can glean from their assets (as mentioned in some of my posts) as well as from their market activity. Today I’d like to address the latter to give you an idea as to what neighborhoods in Lake Oswego are hottest in different price ranges. Let’s start with the lowest price of entry—from $100,000 to $400,000. In the last six months, there have been 191 sales, with 33 currently active and 49 pending. That’s an average of 31 sales per month, making for a one month inventory of homes that average $258,000, with a median sales price of $260,000. The Mountain Park and Lake Grove neighborhoods dominate in this category, followed by Hallinan, so if you are looking in this price range, those are the areas you’re most likely to end up. Chances are you could also find yourself in a condominium or townhome which are well represented at this end of the scale. Things change a bit as we move up in price range from $500,000 to $700,000. You’ll find fewer townhomes and condominiums as most homes are detached. There have been 236 sales in the last six months, with 72 currently active and 50 pending, creating a two month inventory at roughly 40 sales per month. The Lake Grove neighborhood is the leader, representing 25% of the sales with Mountain Park, Bryant, Westlake and First Addition all bringing in about 15% each. Only 10% of the sales occur in the Westridge neighborhood and less than 5% in Uplands. You’ll find an average sales price of $530,000 with the median at $522,000. It becomes more of a buyer’s market as you move into the $700,000 to $1,000,000 category with a three month inventory of homes that average $827,000 with a median of $800,000. There is a shift in neighborhoods represented here with Westlake leading the pack at 25% of sales, followed by the First Addition, Westridge and Hallinan at 15%. Only 10% of the sales in this price range occurred in the Lake Grove and Bryant neighborhoods, with 6% in Uplands and 4% in Mountain Park. Even at this level, there was movement of 111 homes sold in the last six months, or about 19 per month. Waterfront property dominates sales in the $1,000,000 to $1,500,000. Of the 51 sales in the last six months, 20 were on the lake or canals, followed by nine in the First Addition as well as new construction throughout town. Together, these three areas represented 75% of the sales in this price range with an average sales price of $1,193,451 and median of $1,160,000. With 44 active listings and an average of eight homes selling per month in this category, the inventory is five months out, giving buyers more breathing room than at the lower end of the spectrum. Hopefully what you’ll see is that there are lots of options for you if you want to live in Lake Oswego, or, if you already live here, are looking to move around. Let me explore some of those possibilities with you given my experience and market knowledge. I’ve helped people break into the market, move up, downsize, invest…you name it—I’ve got a success story to share. Would love to include yours! Give me a call at 503.939.9801. This entry was posted in Lake Oswego neighborhoods, Lake Oswego real estate and tagged buying a home in Lake Oswego Oregon, Lake Oswego neighborhoods, Lake Oswego Oregon. Bookmark the permalink.